You just received a lump sum payment due to a personal injury award, an inheritance or large gift. Does the one-time payment affect the amount of child support you pay? The answer, it depends. The larger the amount of the payment, the more likely your child support obligation will increase. The law is clear, a one-time lump-sum payment, whether it is from a personal injury award, an inheritance or gift, may result in an upward modification of your child support obligation. When you receive a one-time lump-sum payment, the court can increase your child support in two general ways. One approach is to increase the monthly child support obligation by applying a reasonable rate of return to the payment received and imputing that amount as income. Using this method, the court will increase your monthly child support obligation, and a portion of the amount of your lump-sum payment would be paid out over time in child support payments. Another approach is to direct a one-time payment from your lump-sum award to the custodial parent. Using this way, your monthly child support obligation would not increase, but, you would make a one-time large payment to the custodial parent. It is important to note that although a personal injury award is not considered income when calculating the base child support obligation, the amount of the award can be considered in increasing your overall child support obligation. In other words, when doing the child support calculations, the personal injury award is not considered in the formula. 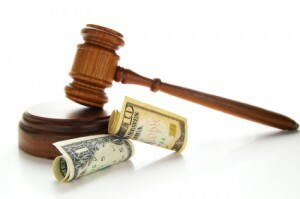 However, once the court computes the basic child support obligation, there is the ability to increase the amount of child support based on the fact that you have more resources (money) from the personal injury award. If you are thinking of getting a divorce, you need an experienced Matrimonial and Divorce Attorney to guide you through the process. If you live in Long Island, Suffolk County or Nassau County, David Badanes and the Badanes Law Office have helped numerous individuals in obtaining a divorce. Call David Badanes and the Badanes Law Office today at 631-239-1702, email at david@dbnylaw.com or visit our web site: www.dbnylaw.com. The Badanes Law Office has offices in Northport and Garden City. Please “like” us on Facebook to get important industry news, tips and articles: .